We had a wonderful Sunday lunch - all 6 hours of it. Great food and wine and friendly, efficient staff. Best steak and atmosphere in town!!!! Great service nice environment all round. As good as ever ! Been several times steak always delicious and presented as ordered. Choice of sides good especially the mushrooms ! 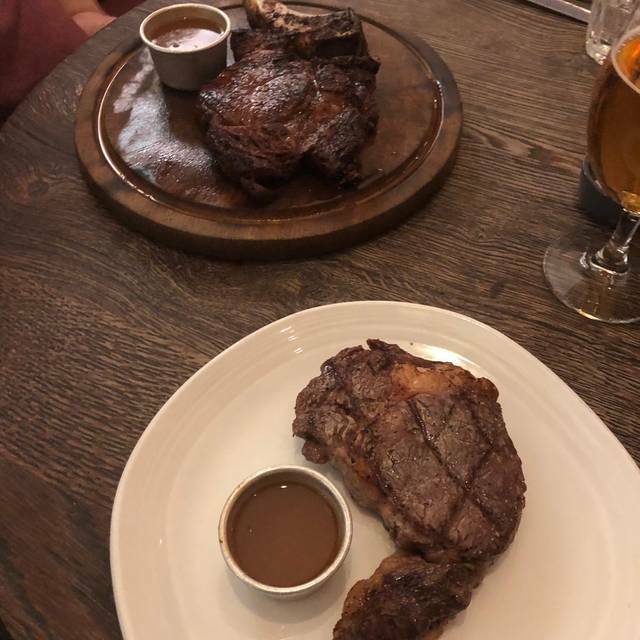 Visited last Summer and the food has gone backwards, we ordered the porterhouse and the meat was awful compared to CUTS we have recently eaten at. The carrots were horrid and some of them were black, one portion of sauce for a porterhouse was a joke and the deserts had little flavour. Pretty disappointing, we will be steering clear from now on. Buzzy neighbourhood restaurant, not too up itself. Great steak, good value for money and very child friendly. If we are back in the area we would definitely visit again. Great Sunday roasts and wonderful to see that pork ribs are back! Fantastic service - the team accommodate us for a birthday celebration and although we had to vacate the table for another booking they didn't make us feel rushed or comfortable. Always great food at Sophie's! We went with our 1 year old to celebrate my husband's birthday - and it was a perfect Saturday afternoon set up - loads of space, great food and wine and one full plate of plaice goujons devoured by the little monster! The staff is absolutely friendly, they made our dinner experience better. Thank you! The place is beautiful and the food was lovely but the loud house music is just a bit out of place. Change the music and maybe turn it down a shade and it would have been a perfect. Bacon on burger not cooked. Mains were slow to come. Filet good. Rest fine. Good vibe, ahead of a Chelsea game that evening. Good service, good food and not too loud. Would recommend! Celebrated my friend’s 30th birthday here with a lovely dinner! She was so happy with everything and so were we. Amazing food and service! Not on par with the better-known steakhouses in London, but perfectly fine. Nice ambience. Food down-the-middle, sides average. Value medium. Service very attentive and good. I'll go back but it's not for fine dining per se, more of a casual Chelsea feel. Would have liked more options in regards to steak for being a steakhouse. Great pre cinema place but also good for a comfortable evening with friends. Always buzzing with excellent service. Excellent steaks, and service very quick despite being very busy! Great service, but food sort of let down the experience. 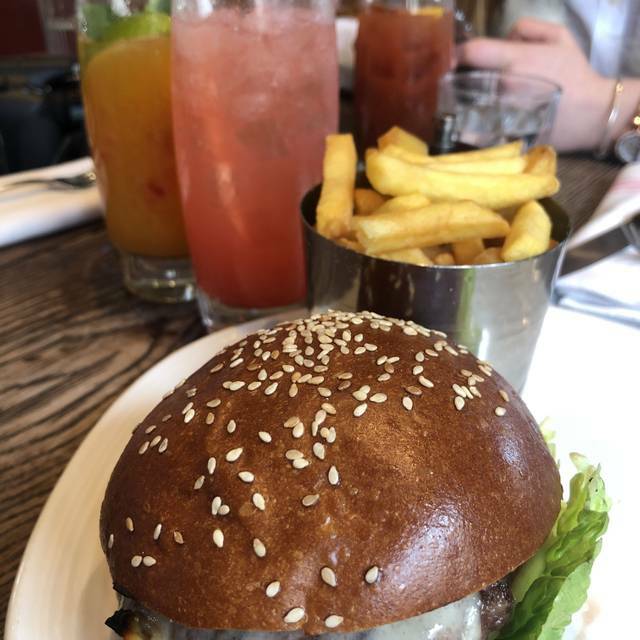 It’s rare that I have not finished a burger, but both me and wife were underwhelmed by the meat, which was cooked well but lacked flavour and seasoning. Very nice atmosphere. Love the red brick and subway tile motif. If you like steak, this a reasonable alternative. good value for money. They can improve on the chips however. Service is good but could be faster and more attentive. If you are digging into your steak and run out of the red wine you are drinking and order more, you should not have to wait 10 minutes to get your glass!!! One-it is a high margin product and I may order yet another one, Two-who wants to wait and have cold meat with their wine. Please try harder or hire another server. Excellent as always! From cocktails to dessert it’s a fun, relaxed atmosphere in the heart of Fulham! We used to love going to Sophie’s when it was in Covent Garden so we thought we’d try Chelsea. Food was great, very nice steak cooked to perfection. However we missed having the salami that you used to get in Covent Garden and didn’t feel the menu was as diverse but still enjoyed it all the same. A fab restaurant and still love the sauce! Bit of a disappointing visit. No real Butcher's cuts to speak of and the men's room looked like a crime scene. Good cocktails, Good service, but not quite as good as the old days. Reservation 6:30pm, arrived on time, ordered immediately two simple dishes, 45 minutes passed, no dishes arrived, no sign of them, they had no idea how much longer they would take and suggested we leave as we had somewhere to go...so we left...never to return again. Avoid this place. It used to be great and was a fun and good restaurant but has gone way downhill and it's a shame. Limited menu choice and basics were extras. Staff helpful we were well looked after. I had booked in the wrong location and Alan (the man at the door) was very helpful and accommodating. Thank you for making my husbands birthday so special with the last minute accommodation. Much appreciated. Great to see the fish pie is back on the menu ...... really delicious!